Prefabrication in the education sector isn’t limited to portable classrooms. By designing and constructing entire building elements offsite, Hayball is producing high-quality education facilities across Australia with lightning-fast installation, minimal disruption to students and unprecedented sustainability benefits. Using prefabrication allowed the modules for The Learning Project at Caulfield Grammar to be installed over a single day on campus: reducing the typical disruption that accompanies construction, and helping Caulfield Grammar to implement new learning programs without delay. Controlled factory environments allow architects to exert a newfound control over design flexibility, cost and quality. Not to mention sustainability. Using prefab materials like Cross Laminated Timber (CLT), reduces waste and strain on resources, an important aspect of the design process. It can also significantly compress construction timeframes and reduce the overall carbon footprint. Environmental benefits are highly apparent in its production, use and, ultimately, building performance, with potential cost benefits becoming even more significant when the entire procurement process is considered. We are now seeing knowledge and understanding of this technology grow, leading to earlier adoption and integration in the building design process. There is a definite groundswell towards prefabrication on high profile innovative buildings, and forward-thinking building owners are busy initiating the next generation of sustainable developments and driving market differentiation. We understand that the prefabrication process doesn’t easily dovetail into current procurement practices, but we have become expert at working with industry to influence design while also navigating complex IP issues. As an industry leader in sustainable design we are committed to achieving genuine environmental sustainability and achieve innovative, cost-effective design solutions across master-planning and building works. We support the targeting of Green Star ratings and bring extensive experience working with the associated rating tools for multi residential and public buildings. Our Library at the Dock in Melbourne’s Docklands was constructed entirely using CLT technology, and became Australia’s first public building to be awarded a 6-star Green Star. 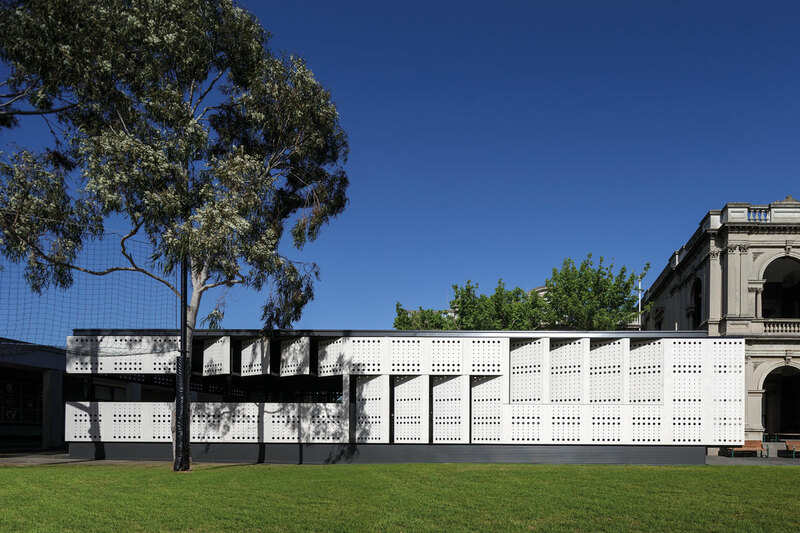 It is the recipient of the state’s highest award for sustainable architecture and a national architecture award for sustainability (Australian Institute of Architects).